The non-coastal country of Kosovo is in border with Albania, Macedonia, Serbia, and Montenegro, with less than a 4-hour drive from Greece. Kosovo is ringed among the Sharr Mountains located in the southeast border close to Macedonia. The north is surrounded by the Kopaonik Mountains and the southwest borders neighboring Albania and Montenegro are also rocky and mountainous with the highest mountain, Gjeravica peaking at 2,656m high. As far as the central region of Kosovo, it is chiefly hilly and also possesses two extensive plains which spread over the east and west sides of Kosovo. Prishtina, Kosovo’s capital, is the largest city as well as the administrative center of the country. Other key cities include: Peja, Gjakova, Prizren, Gjilan, and Mitrovica which is currently divided into two parts. The region that is most mountainous and filled with valleys which include the chief basins of Kosovo is the Dukagjini region located in the west, which is also drained by the Southern Morava River. 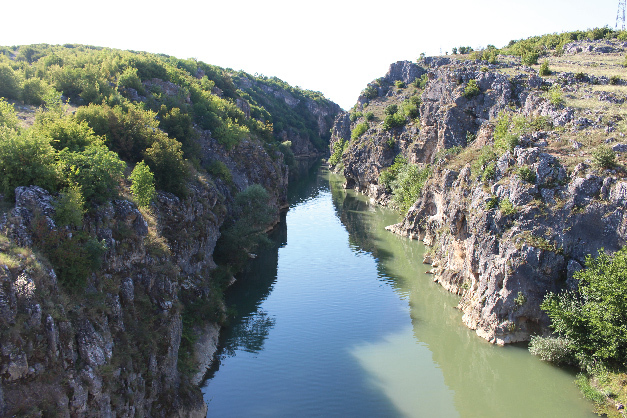 Additional focal rivers comprise of the Erenik, Iber, Drin, and Sitnica. In general, the climate is continental, with cold, relatively dry winters and warm, humid summers. Summer temperatures in the mountainous areas are notably cooler, averaging about (18° C) with up to 120 days of annual snow cover in the mountains. In mountainous areas, trees cover 40% or more of the region, mostly oak and beech. Deer, bear and wild pigs abound in these areas. May and September are usually the best times to visit climate-wise.